So, I’ve been caught up the last few months with finishing uni with a 1st (hoorah! ), publishing my last issue of BlueMoon magazine and blogging and interning for several places while I job-hunt (I even blogged about VIP holidays at Shamwari!). 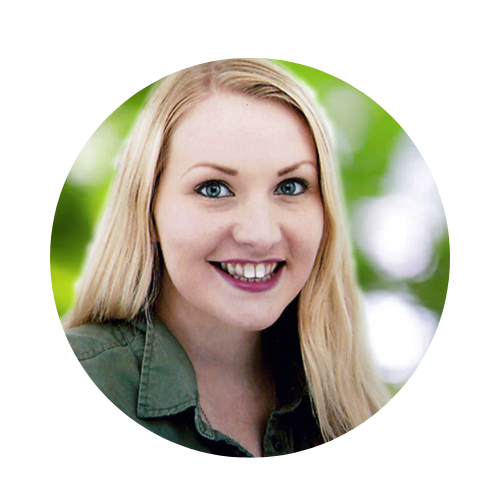 So, breaking the cardinal rule of blogging – I dropped the ball a little while with posting on here regularly. But as I’d followed the progress of the Go Go Gorillas in Norwich from the start (see HERE), I figured that when I’d made my way around all 53 sculptures and 60 mini sculptures (painted by local schools) I would put a summary blog post up – that was until I heard the news today via the BBC Norfolk website that one of my favourite gorillas is being removed as the design of his jacket infringes copyright! 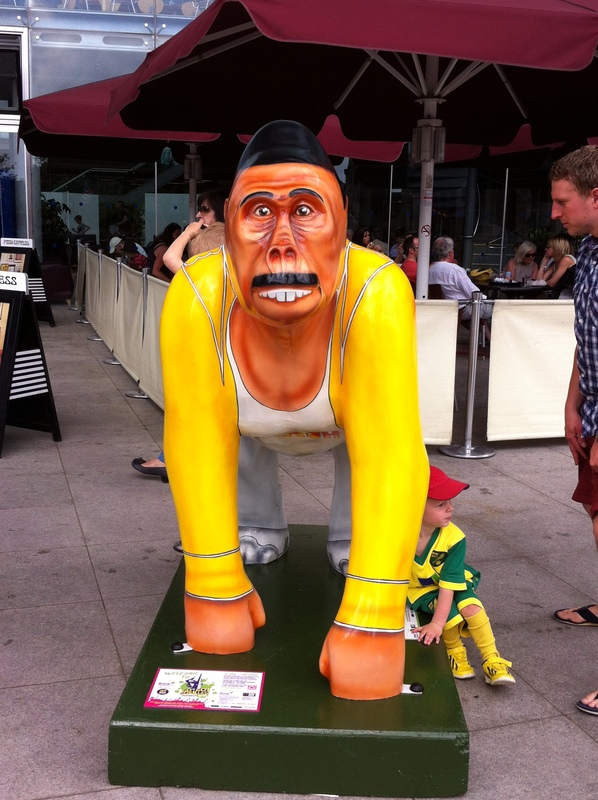 Freddie ‘Radio Go Go’ Gorilla caught up in a law suit – standing outside The Forum, Norwich last week. I am so saddened to hear that the Mercury Phoenix Trust has asked for this sculpture to be removed! I bought you a blog post in August last year detailing how the Mercury Phoenix Trust had benefited (alongside Born Free Foundation) on the sale of Freddie the Lion, one of the Pride of Cape Town lions that had toured London during Olympic season last summer. 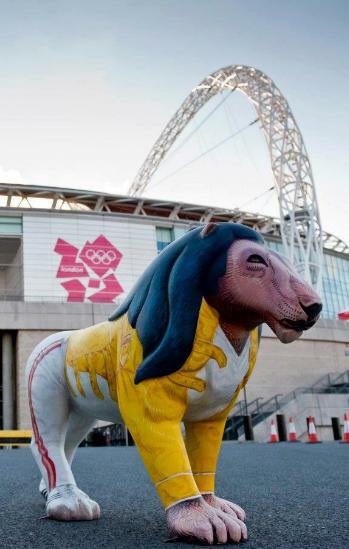 Freddie the lion was also decorated with Freddie Mercury’s yellow jacket, which is the centre of the row, and proved to be one of the more popular designs. The difference? The Mercury Phoenix Foundation commissioned (and benefited financially) from Freddie. I understand that every charity wants to make money – but denying a charity you previously worked in collaboration with? And whose initiative saw you receive a sizeable donation at auction last year? Seems pretty crumby to me. It also leaves me worried about the implications this may have on the other gorilla designs – such as ‘Iron Ape’ and my favourite ‘Optimus Primate’: will these have to be changed now? At the very least, I have the suspicion that the creativity of the next Born Free Foundation (remember we previously had Go Elephants?) will be severely hampered by the actions of the Mercury Phoneix Trust this year. One of the things that upsets me most about today’s revelations is the undeserving negative publicity it gives the city of Norwich. 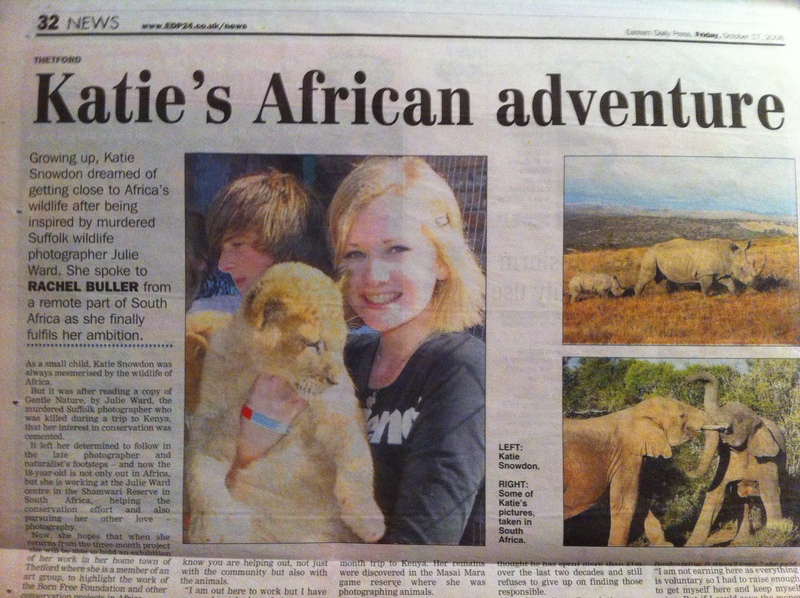 As a supporter of Born Free Foundation (and big cat ‘adopter’) since 1996, back in the days when Born Free’s first lions Raffi and Anthea resided in the (now closed) Born Free sanctuary in Kent, I have always been proud that my local city has connections with the charity. 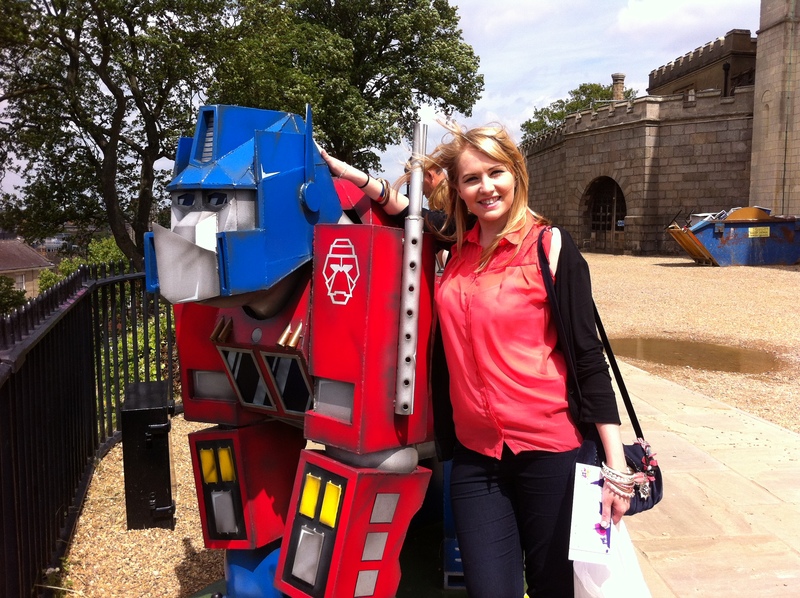 Norwich has so successfully hosted the Go Elephants campaign, and is a brilliant supporter of artists local and far afield – which as an artist myself means a lot. 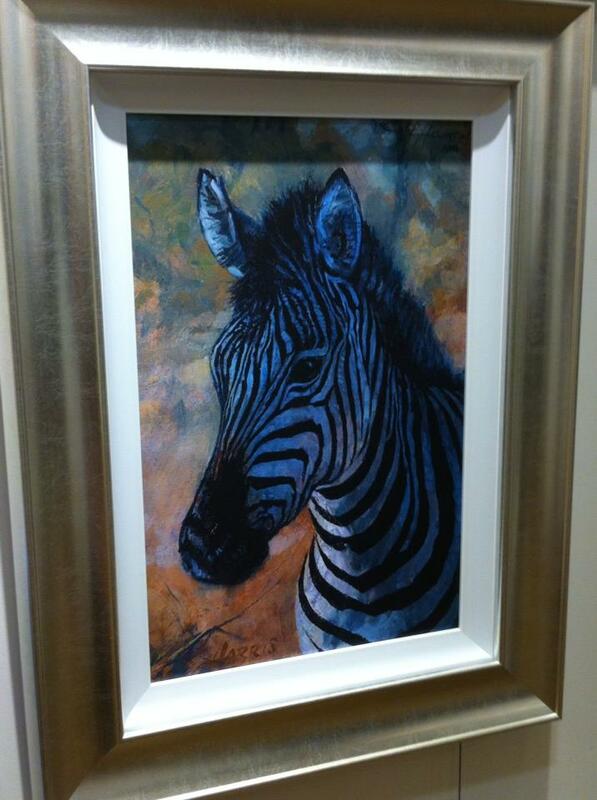 Even just recently I visited the Artique Gallery in the Royal Arcade to see wildlife art by TV great Rolf Harris. During the last Born Free campaign in the city, I spent the latter part of those 3 months in South Africa, volunteering at the Born Free Sanctuary at Shamwari. I was posted out news cuttings from the local papers of the Archant News Group (who were nothing but supportive of my self-funded volunteer project) to keep abreast of the Go Elephants news and followed with great interest the journey of one of the sculptures as it travelled from Norwich to Africa, then back again. Although sadly it never reached the Julie Ward sanctuary where I was based (there’s a whole other tangent I could go on about Julie Ward – I won’t, but if you are interested read up HERE), the publicity about the elephant sculpture (and indeed Norwich) did reach us in the depths of South Africa’s Eastern Cape – just showing the importance of these ‘Wild in Art‘ sculptures. So, if tainting the initiative’s reputation and indeed the hard work of the city of Norwich isn’t disappointing enough – I’d love to hear Queen guitarist Brian May’s take on this is. Brian May is a patron of the charity and just last year was part of an acoustic re-release of the song Born Free (which, you guessed it – I blogged about). Surely as a surviving member of Queen he can put his support behind our Radio Go Go Gorilla? I took a little clip of local news BBC Look East’s news report when interviewing the artist commissioned to do the work. Funnily enough I toured the Look East studio last weekend on my day trip to see the Go Go Gorillas and chatted to BBC employees about how well received the gorilla sculptures had been by the public (Freddie ‘Radio Go Go’ Gorilla had stood just outside The Forum library and news centre entrance) and how they had brightened up the city. Could my ramblings have made a difference? !